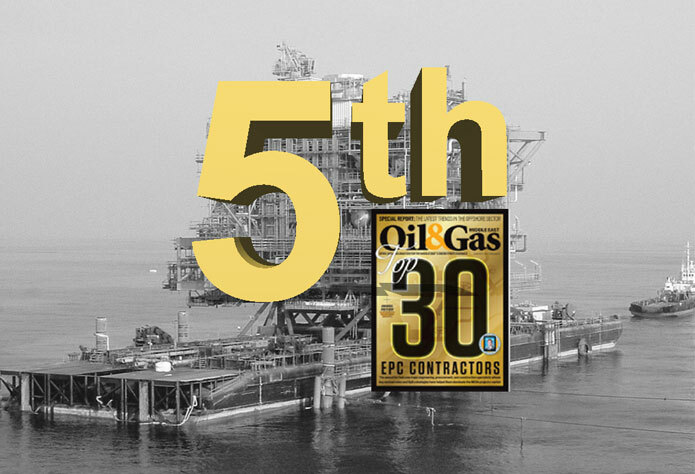 NPCC (Member of SENAAT – Abu Dhabi) is ranked 5th in the annual list of Top 30 Engineering, Procurement and Construction (EPC) Companies in Energy sector in the Middle East and North Africa (MENA) region, compiled by Oil & Gas Middle East Magazine. Oil & Gas Middle East Magazine uses a simple methodology, which takes into account 4 factors: volume and value of contract wins in 2016 and Q1 2017; type of projects won; financial performance; and plans and contract bids currently in the pipeline. NPCC was founded in 1973 in Abu Dhabi, UAE, and has delivered offshore & onshore Oil & Gas EPC projects for National and International Oil Companies in the region.